Crowdfunding combines the best of crowdsourcing and microfinancing, bringing together various individuals who commit money to projects and companies they want to support. It’s a young and quickly growing market and it's transforming how people behave with their money. It's also transforming the ways businesses raise capital. Massolution's Global Crowdfunding Report expects crowdfunding to become a $300 billion industry by 2025, but in many ways, crowdfunding is just getting started. The same consulting firms expect the industry to grow at a compound annual rate of 100 percent over the near term. 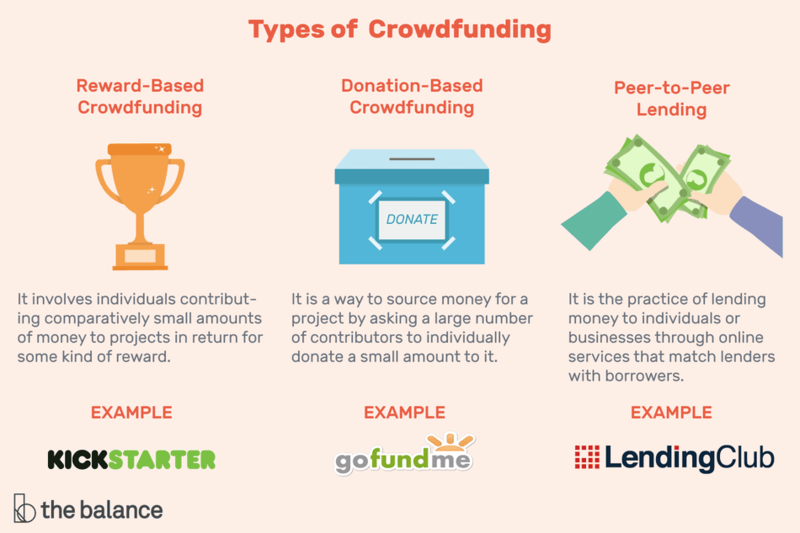 So what is crowdfunding? There are a few primary categories. Crowdfunding is synonymous with rewards-based sites like Kickstarter and Indiegogo. With reward-based crowdfunding, people can pledge money to a new creative art project, a novel technology product in development, or to a music artist producing a new album. The smartwatch Pebble made the tech industry take notice when it received over $2.6 million in only three days of active crowdfunding on the popular crowdfunding site, Kickstarter. Ever loan money to a friend or a kid? New crowdfunding platforms like Lending Club enable borrowers to get access to funds outside of traditional banking channels. People willing to take a little risk to lend money to other individuals can create whole loan portfolios at the click of a button. Lending Club, which is the 800-pound peer-to-peer lending gorilla, is literally lending billions of dollars every year. Prosper is a top player in this arena, too. Dr. Muhammad Yunus won the Nobel Prize in 2006 for his work in microfinance. Rather than relying on charity to support the working poor, Yunus’ Grameen Bank gives small loans to local entrepreneurs to help fund things like short-term inventory. Combine microfinance with online crowdfunding and you get sites like Kiva.org, which has been funding small business owners in emerging markets for over a decade, and GoFundMe. The smallest slice of the crowdfunding pie, equity crowdfunding nonetheless offers the most potential to change the way individuals invest their money. Equity crowdfunding enables real investments in private companies. The equity crowdfunding space AngelList is building what many call the Android of venture capital while other firms like CircleUp and OurCrowd are more like online venture capitalists that provide investors with access to invest in startups with as little as $1000. FundersClub is another big name in equity crowdfunding. Full disclosure—I’m a partner at OurCrowd. Entrepreneurs have identified an opportunity for crowdfunding real estate. Each real estate crowdfunding platform seems to take a different approach. Some are crowdfunding loans to buy properties or provide mortgages to buyers of real estate. Mosaic crowdfunds solar energy projects. Other top players in this area include Fundrise, Realty Mogul, and Crowdstreet. Interested in investing in top athletes? Crowdfunding makes that possible. Earlier this year, Fantex made waves when it announced that it would be IPO-ing investments that track the brand value of top sports stars. Need money for college without piling on debt? Would you trade a percentage of your lifetime earnings for paid tuition today? Built by former Googlers, Upstart lets you crowdfund your education. There’s no doubt crowdfunding will see many different faces as entrepreneurs and individuals who support them experiment with the future of business finance. We’re just at the beginning.